Designed for fighting even the most dangerous fires in open moor land, the Southcombe SB02418A Firemaster Wildland Gauntlets feature a long cuff that offers perfect protection for your wrists and lower arms. 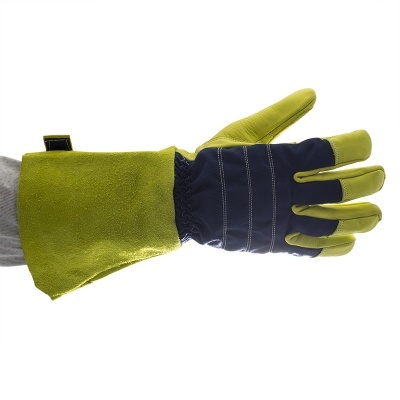 With the highest level of cut resistance, resistance to flames and extreme temperatures, these are the gloves you want by your side when fighting fires in the wild. The Firemaster Wildland Gauntlets have been designed especially for use in open moor land and fighting wild fires. 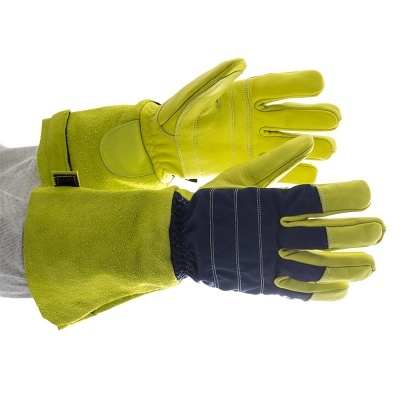 With the highest level of cut resistance and their ability to protect from contact heat of up to 250°C, these gloves are ideal for heavy duty firefighting. 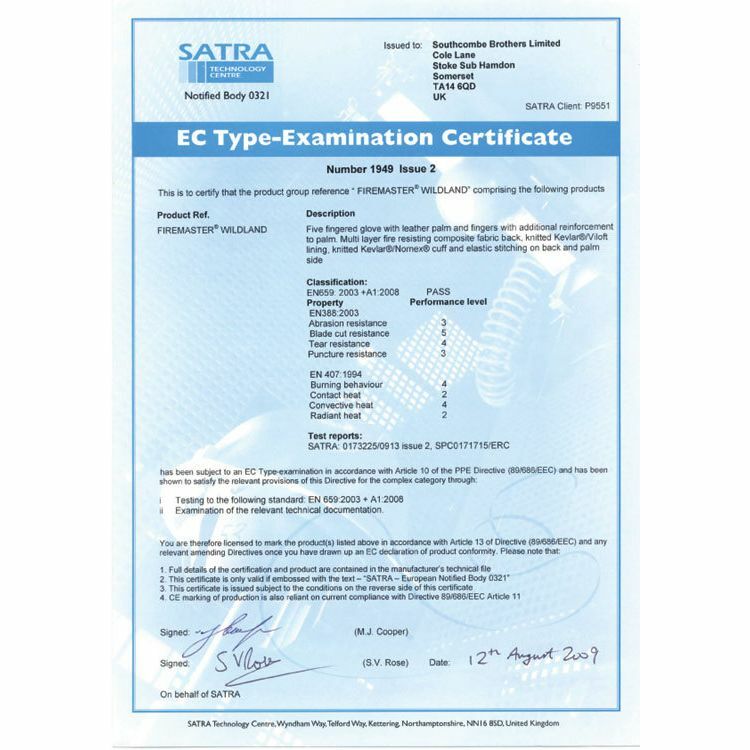 Pyrohide leather is exclusively manufactured in the UK by Southcombe and is ideal for resistance against heat, fire, water, salt-water, liquid chemicals (including sulphuric acid, hydrochloric acid, caustic soda, ethanol) and Man Made Mineral Fibres (MMMF). 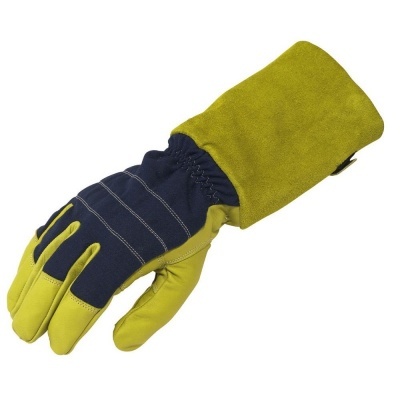 The Wildland Gauntlets utilise Pyrohide leather on the palms to offer great resistance. Pyrohide is used by 51 out of the 61 fire brigades in the UK and retains tactile properties in dry or wet weather. 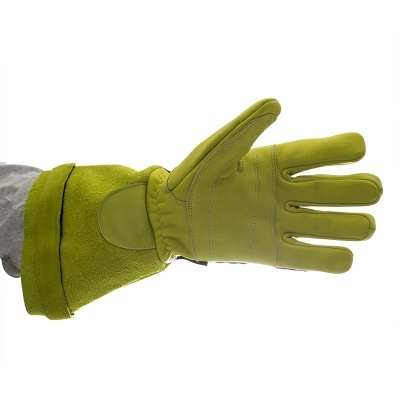 Each Wildland Gauntlet has a Kevlar lining that provides high levels of resistance against cuts or slashes and also prevents abrasion from damaging the glove. The Kevlar lining also features a Viloft yarn plate that helps to wick away moisture from your hands. 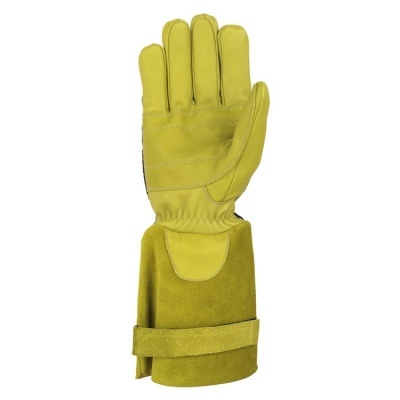 The Firemaster Wildland Gauntlets are available in six sizes that should suit the hands of most users. Please measure the circumference of your hand around the knuckles (excluding the thumb) with your hand open and your fingers together, and the length of your hand from the tip of your middle finger to your wrist.